The big news on Sept. 19 was the release of the iPhone 6, the lastest update by Apple for the retail market. The surprise for the public, however, were the two versions consumers can choose from. The versions are named for the different screen sizes. 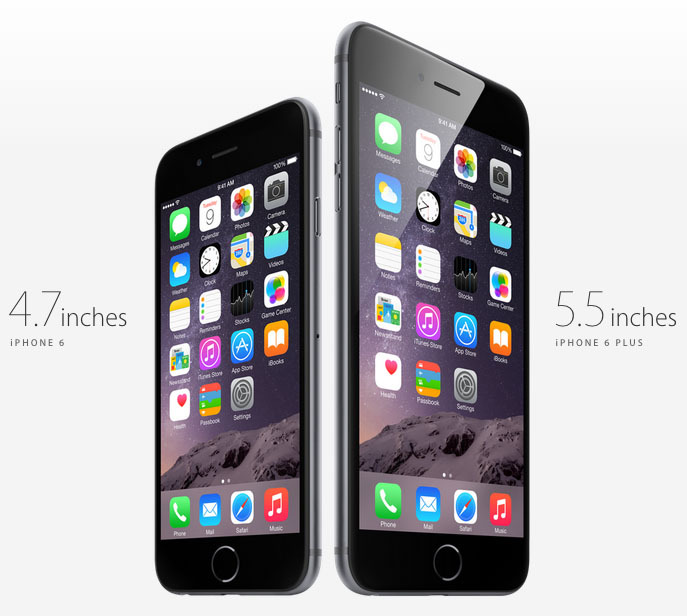 The iPhone 6 features a screen size of 4.7 inches while the iPhone 6 Plus comes with a 5.5 inch screen size. Both versions of the iPhone 6 come with A8 chip processors that enhance battery life from previous iPhone models, one of the biggest concerns about the iPhone. Freshman Jocelyn Chen needs her phone to be able to go through a day, not an hour. “Good battery life is definitely what a phone needs. My current iPhone 5s doesn’t really last long and I end up having no phone for the rest of the day. I don’t like that,” Chen said. Another anticipated feature of the iPhone 6 and iPhone 6 Plus is Apple’s newly patented sapphire composite which was first created to limit cracking the screen when the phone is dropped. Along with the release of the devices came the new operating system, iOS 8. This system is available for download to current users of the iPhone 4 and above. The price of the devices ranges from $199 to $499 when purchased with a 2-year contract.